Editor's Note: Part 9 of our Better Know A Beer City series comes all the way from Down Under. Hannah Pigram currently resides in Sydney, Australia, originally coming from a small country town in New South Wales located very close to the border of Victoria with a population of 7,000. Having moved to The Big Smoke to study sports business, Hannah secured a job for a company that designs and sells packages and tours for people to attend sporting events and festivals domestically and internationally. One of the highlights of the job is of course the travel, and Hannah has been to places such as Hong Kong, Brazil and New Zealand for both Rugby Union and the FIFA World Cup. The next exciting step for Hannah is a move to the UK for 12 months to be a tour guide throughout Europe for her organization's London based company. She's excited about the water draining clockwise for awhile, to take as many side trips as possible to experience craft beers from around the world! When in Sydney it is customary to take a ferry ride around the harbour and fight the masses to get the best selfie with iconic sights like the Harbour Bridge, Opera House and Luna Park. Or you may want to head to Bondi, Coogee or Manly beaches for a refreshing swim and the burning Aussie sun. And no, Manly is not home to steroid-pumping bodybuilders or men with puffed out chests starring in an upcoming David Attenborough documentary, rather a beautiful Northern Sydney suburb with a classic beach lifestyle and the best chilli chocolate ice-cream you will ever find. Now I am going on the assumption that not many of you have made the journey across the Pacific to the land down under but put it off no longer as the Sydney craft beer scene is an experience you cannot miss. Below I have some of the favourites that are a must for all beer enthusiasts. Better Know A Beer City, Part 6 - Ithaca! Let's continue our tour of Central New York! Located at the southern end of Cayuga Lake, Ithaca is commonly known as the home of Cornell University. Just like Winnipeg, the harsh, windy, snowy winters mean it's probably best to save your visit for the summer season (I admit that I have never visited Ithaca between Labor Day and Memorial Day). The residents of Ithaca are rewarded for their hardiness with a spectacular summer and a wide variety of really good craft beer! I visit Ithaca at least once a summer. In the summer of 2012 I spent seven weeks living on Owasco Lake (the Finger Lake just to the east of Cayuga Lake), and at least once a week I made the 40 minute drive to Ithaca to visit Ithaca Beer Company. I was almost disappointed when their flagship IPA, Flower Power, began appearing in the Williamsburg area. I always looked forward to my first taste of that beer each summer! Everything they produce is first class - I am especially enamored with Cascazilla (a hoppy red ale), Green Trail (another IPA), Cayuga Cruiser (a Berliner Weisse), and the Embrr Rye Porter. The views from the restaurant and the outdoor patio are stunning. There is nothing better than a pizza and one of the aforementioned beers (or something from their five barrel pilot system) on a beautiful summer day! 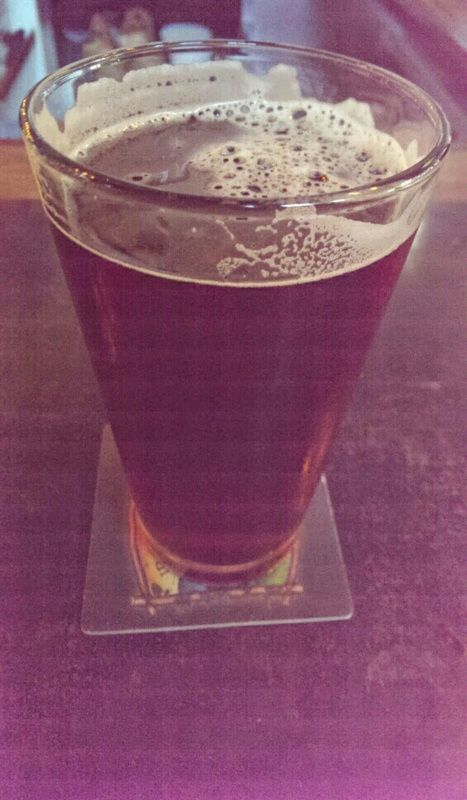 My favorite craft beer bar in Ithaca is definitely the Ithaca Ale House. Located just off of Ithaca Commons, a two-lock pedestrian mall that runs through downtown, the Ale House has twenty rotating taps featuring a mix of beers from small New York State brewers and bigger, well-distributed breweries like Bell's, Great Lakes, and Founders. The food is excellent - do not leave without trying the Buffalo Chicken Spring Rolls! Another Ithaca favorite is The Chapter House, which offers 49 taps and a good mix of Cornell students and regulars. In my experience, at least half of the drafts are from New York State craft breweries. Bonus: there is free popcorn. All the time. Ithaca Coffee Company's Triphammer location. Set aside a solid two hours if you plan to do some beer shopping while in Ithaca. The largest beer shop in the region, Finger Lakes Beverage Center, is worthy of at least an hour of that allotment! Like many great beer stores, it doesn't look like much from the parking lot. The interior will blow you away. Beers are organized by region and are all available as singles. There is a fairly even split between warm storage and cold storage and all of the local breweries are well-represented. There is also a 12 tap growler filling station at the front of the store. The other beer stores worthy of a visit include both Ithaca Coffee Company locations. The Triphammer location offers 12 draft lines and a great selection of packaged beer, while the Green Street location pours 10 draft lines and has a similarly excellent selection. The taps aren't just for filling growlers - have a beer while you shop! 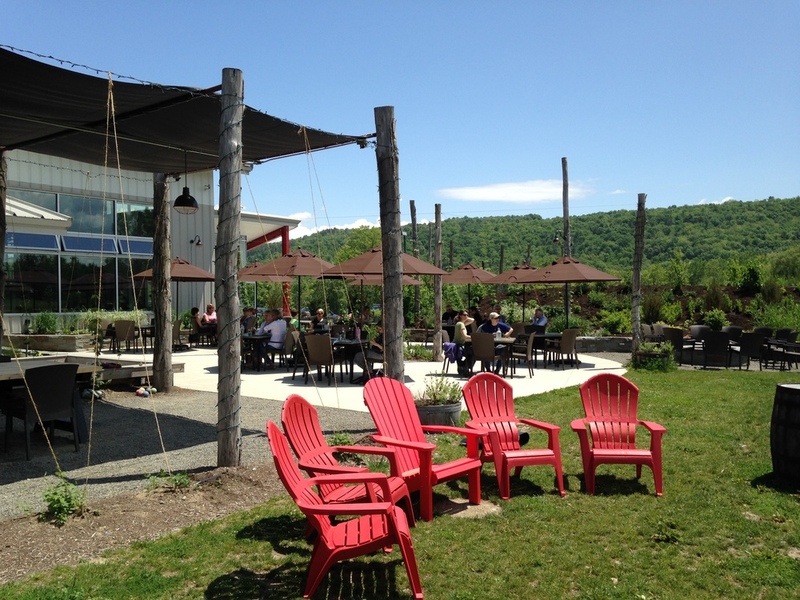 The Ithaca region is home to a multitude of great breweries, including Horseheads Brewing, Cortland Beer Company, Bacchus Brewing Company, Rooster Fish Brewing, and the aforementioned Ithaca Beer Company. The quality of the beer is matched by the quality of the beer bars and beer stores in the area. Tack a visit to Ithaca onto that Syracuse trip! Better Know A Beer City, Part 5 - Syracuse! I have a confession to make: I love Syracuse, New York. This is definitely an uncommon, and for some reason unpopular, declaration. While it's true that Syracuse has felt the effects of suburban flight and the general decline that has come with the shuttering of multiple types of industry in Central New York, it still maintains a unique charm common in small to medium-sized cities in the northeastern U.S.
My first experience with Syracuse came when I started visiting my wife's family in the Finger Lakes during high school. Syracuse was the closest airport to Owasco Lake and, at that time, even supported a direct flight from Hartford, CT. We never ventured into the city for anything - it was aways straight to the lake and then straight back to the airport. When I started working in New York City I was offered the chance to represent our firm during campus visits to Syracuse University. On three separate occasions I flew to Syracuse and spent a couple of nights at the Sheraton located a few blocks from campus. During those visits I began to appreciate all that Syracuse has to offer, including, you guessed it, beer! Faegan's Cafe & Pub is just a short walk down Marshall Street from the Sheraton. It's not much more exciting than your standard college bar, but it does offer about 20 taps of pretty decent craft beer. I recall trying my first Middle Ages Brewing Company beer while eating there in 2008 - a Swallow Wit. A couple of my other favorite bars in the city include The Blue Tusk and Shifty's. The Tusk has almost 70 taps and is generally regarded as the best beer bar in the city. Shifty's offers 25 taps and the second-best wings in Syracuse. Where can you find the best wings in Syracuse, you ask? Dinosaur Bar-B-Que, of course! The original (and best) of the ten locations is located on West Willow Street only blocks from Clinton Square. Drafts like Ithaca Cascazilla, Middle Ages Smoked Porter, Southern Tier 2xIPA, and a rotating high-octane selection offer something for everyone. I clearly recall arriving at Dinosaur after a 4 hour nonstop drive from Massachusetts in the summer of 2010 - the Southern Tier Hop Sun passed over the bar was one of the most satisfying beers I've ever had. My extremely high opinion of Dinosaur might be biased by the fact that my parents hosted a wedding rehearsal dinner for my wife and me on the second floor in the summer of 2011, but I promise that you will not leave disappointed! My second-favorite place to eat dinner and enjoy a beer in Syracuse is Empire Brewing Company in the bustling Armory Square neighborhood. Empire, which is in the process of opening a farmstead brewery in nearby Cazenovia, offers 10 to 12 taps of beer brewed right behind the bar (seek out Downtown Brown or Local Grind). The menu is also fantastic - don't miss out on a side of the Blue Corn Bread. The most well-known Syracuse brewery is likely Middle Ages Brewing Company, which has been producing English-style beers in the city since 2005. It's worth a visit to the small tasting room to try a few of the 12 or so different offerings. My picks would be the Highlander Scotch Ale, Wailing Wench, and the Old Marcus ESB. I've found beer shopping to be somewhat limited in the Syracuse area, but I have always enjoyed visiting Brilbeck's Corner Market on Avery Street in the Tipperary Hill neighborhood. The Wegmans Grocery stores located in the area typically have decent beer selections as well. If a 35 minute drive doesn't seem too daunting, head west on NY-5 to visit D & L Truck Stop in Auburn. It's by far the best selection in the area, and even has a growler filling station with 8 pretty amazing drafts. Speaking of easy trips from Syracuse, scenic Skaneateles is located less than 30 minutes away and offers great craft beer at both The Sherwood Inn and Blue Water Grill. A one hour drive southeast of Syracuse brings you to the town of Hamilton, the home of Colgate University. 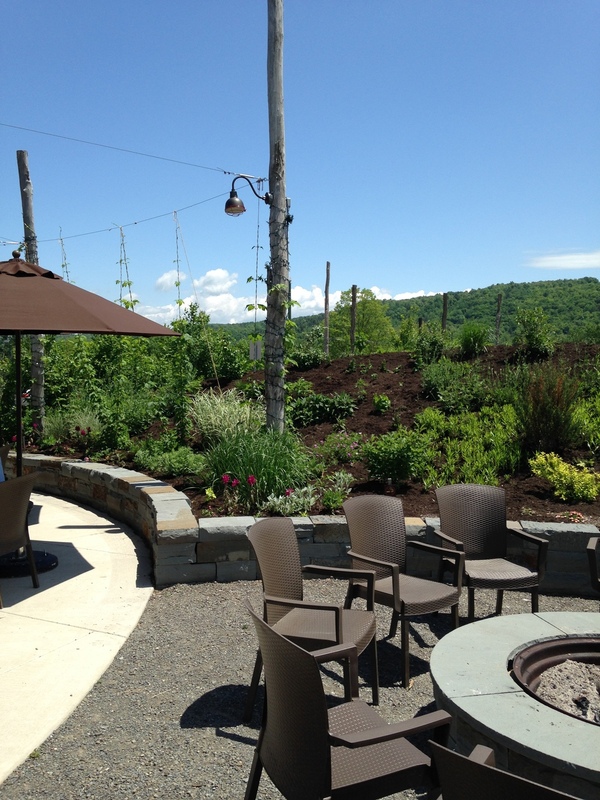 Be sure to check out the beer selection at the Colgate Inn and make a visit to the Good Nature Farm Brewery & Tap Room just a few short blocks away! Be sure to add a visit to the Syracuse region to your future travel itinerary. I can assure you that finding good beer and good food will not be a challenge! Better Know A Beer City, Part 2 - Winnipeg! Happy Canada Day! Although I failed to mention it in my introductory post, I am in fact a proud Canadian. Some of my best memories from childhood are from my family's annual trip back to Toronto in late June. We would spend Canada Day at The Weston Golf & Country Club, where we would alternate between golf, curling, tennis, and road races for a good portion of the day. The day was always punctuated with a huge buffet (poutine, anyone? ), a spirited version of "O Canada," and a patriotic display of red and white fireworks. Canada Day celebrates the confederation of Canada through the enactment of the Constitution Act in 1867. Unfortunately I was too young to be thinking about beer at that time, and now I find it harder and harder to make time for trips back to Canada. I would really love the chance to spend more time visiting the breweries popping up all over the country (especially in Ontario, Quebec, and British Columbia) - there is truly excellent beer being produced in the Great White North. Canada and its citizens have also been excellent supporters of the American craft beer industry. Canada is American craft beer's largest export market by a long shot. With shipments increasing 93% by volume in 2013, the country now consumes almost 47% of total exports (131,511 of 282,526 barrels). Also, much of the barley used by craft brewers is grown in Canada! The Manitoba Coat of Arms, granted in 1905 by a Royal Warrant of King Edward VII. A few months ago I made my first trip to Canada since 2011. I departed from Virginia, passed through the seven levels of the candy cane forest, through the sea of swirly twirly gum drops, and finally arrived in Winnipeg, Manitoba! Winnipeg (aka The Peg) serves as the capital city of the prairie province of Manitoba and contains over 60% of the total population of the province. While it is impossible to overstate how cold Manitoba can be in the winter (Winnipeg's daily mean temperature in January: 2.5 degrees Fahrenheit), the plentiful lakes and rivers throughout the province make it a fantastic place for summertime activities. It's also not as far away as Americans might think; Winnipeg and New York City are actually the exact same distance from Chicago. The craft beer industry in Winnipeg isn't as mature as what can be found in major beer-producing provinces like Ontario and Quebec. Some recent law changes have spurred new growth, however, and there are now plenty of options to satisfy the curious craft beer consumer. My favorite brewery in Winnipeg is Half Pints Brewing Company, which opened in 2006 and now produces just under 30,000 BBL of beer annually. Half Pints beer can be found throughout the Prairie provinces (Manitoba, Saskatchewan, and Alberta, for you non-Canadians) and, as of a few months ago, in Ontario and British Columbia as well. 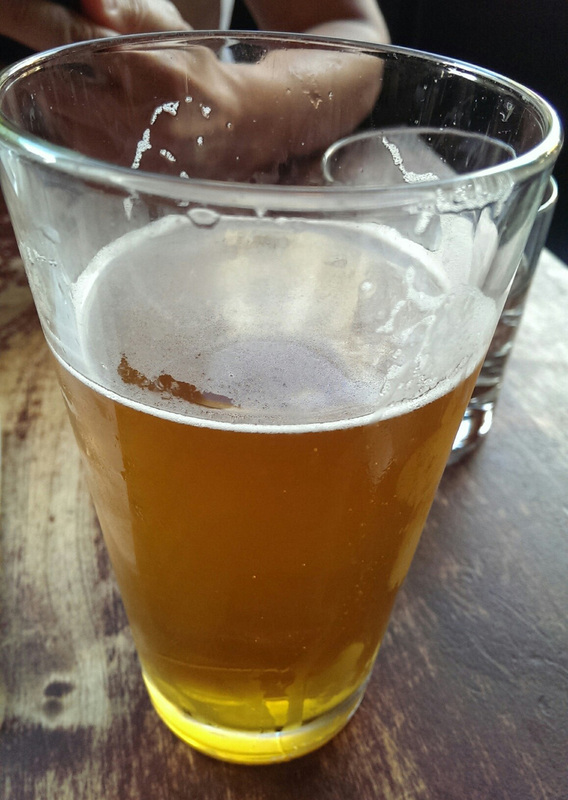 When I visited The Peg I very much enjoyed Little Scrapper IPA and Stir Stick Stout, two of their year-round beers. The seasonal Humulus Ludicrous (a big, hoppy Double IPA) was also outstanding. They can all be found in bottles at the government-controlled Manitoba Liquor Marts found throughout Winnipeg. The elusive Manitoban Land Whale. I managed to visit two excellent craft beer-focused restaurants during my stay in Winnipeg. Barley Brothers, which opened in late 2013, pours more than 50 drafts from Canadian, American, and even Italian craft breweries. The wide selection of beer nicely complements the upscale bar food offered at what the owners call "Winnipeg's Only Craft Beer Pub." The more established craft beer bar in town is Luxalune Gastropub, which features over 150 bottles and 8 draft lines. The tapas-style food is consistently delicious and pairs well with the Canadian craft brews that fill the taps and the beer fridge. The owners have plans to open a new "Estate Brewery" where they would brew their Farmery Premium Lager using their own barley crop. The beer is currently brewed under contract at the Muskoka Brewery in Ontario. I anticipate that the craft beer industry in Winnipeg, and all of Manitoba, will begin picking up steam in the coming years. There are already a few openings planned, including Portage Ave. BrewWorks and Kitchen, which will be Winnipeg's only brewpub once a proper space can be leased. I encourage you to visit The Peg and enjoy everything it has to offer, craft beer-related and otherwise. Just make sure that your trip is scheduled for somewhere between May and September!